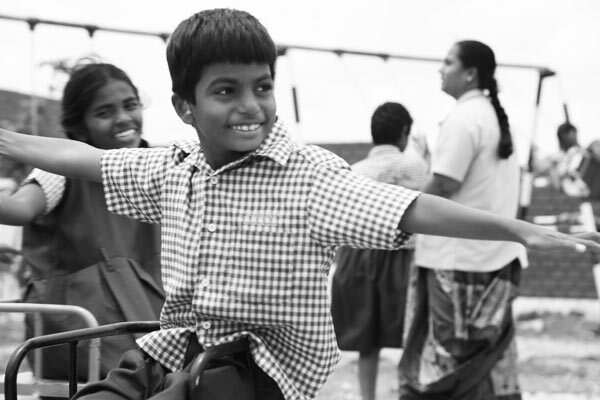 Achieving holistic and wholesome rehabilitation of capacitated and empowered disabled children, towards leading dignified, self–supportive lives, and joining the mainstream of society with the confidence and feeling that they are in no way less than other able bodied citizens. To plan and implement result-assured activities through participatory approach involving all stake holders, for achieving the sustainable development, empowerment and rehabilitation of disabled children in society, within a set time frame. To ensure that the disabled person becomes capacitated and self reliant through IBR and CBR activities in order to lead honourable and dignified lives. To establish and run Institutions to educate, capacitate and make the children skilled for their future inclusive growth. To build awareness, sensitize and impact people and society; so as to make them pro-active to the problems of disabled children and single aged women. To secure equal opportunities and empower the disabled in all spheres of life as enshrined in the DISABILITY Act 1995 and work as a link between the Government and target persons. To advocate for suitably tailored policies and legislation by the polity to the cause of the disabled. To undertake all IBR & CBR activities and provide aids and appliances for the convenience of the disabled, leading to improved working and living conditions. To establish multipurpose centres for providing all inclusive services and facilities under one roof for the integrated and sustainable development of the target persons.